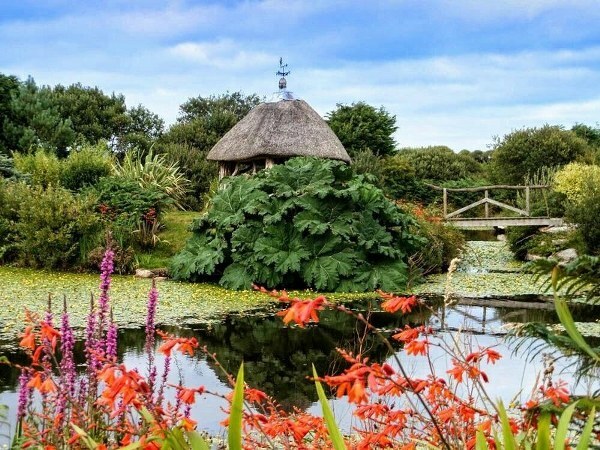 A stunning range of picturesque Cornish gardens will be opening to the public in aid of Cornish charity Cornwall Hospice Care this year. Seventeen generous owners have agreed to invite people in to enjoy the fruits of their labours as part of the charity’s ‘Open Gardens’ programme. They are also helping to raise money to fund the care provided to terminally ill patients and their families. 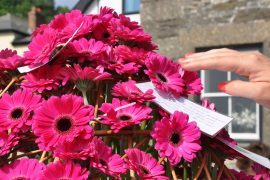 The charity’s ‘Open Gardens’ brochure will be launched at the Cornwall Garden Society Spring Flower Show at Boconnoc near Lostwithiel on Saturday 7th and Sunday 8th April. Rare and exotic plants and trees, woodland sculptures and a Mediterranean-style garden are among the many attractive features that gardening enthusiasts will be able to view between April and September this year. There’s a chance to enjoy woodland settings, riverside gardens and spectacular views of Cornwall’s coastline and countryside. Sunday 10th June, offering visitors the chance to explore up to 14 gardens in the pretty seaside village, and the following month two gardens set in the peaceful hamlet at Lower Amble near Wadebridge open jointly on Sunday 1st July. In addition to this, Trenarth garden at Constantine is open ‘by appointment’ for visits right through from April to September, giving you an opportunity to plan your visit to suit your calendar as well as the weather. This quirky 4-acre garden with year-round interest is set around a 17th Century farmhouse with fields and woods running down to the Helford. Details of these gardens, plus the other gardens in the scheme, are in the Open Gardens guide which is available from all Cornwall Hospice Care shops, most garden centres and tourist information centres. The attached picture is of Tanglewood, Newbridge, Penzance. Click here to view and download our 2018 Open Gardens brochure.